The good news: There are plenty of nutrient dense, low carb alternatives you can sub in. 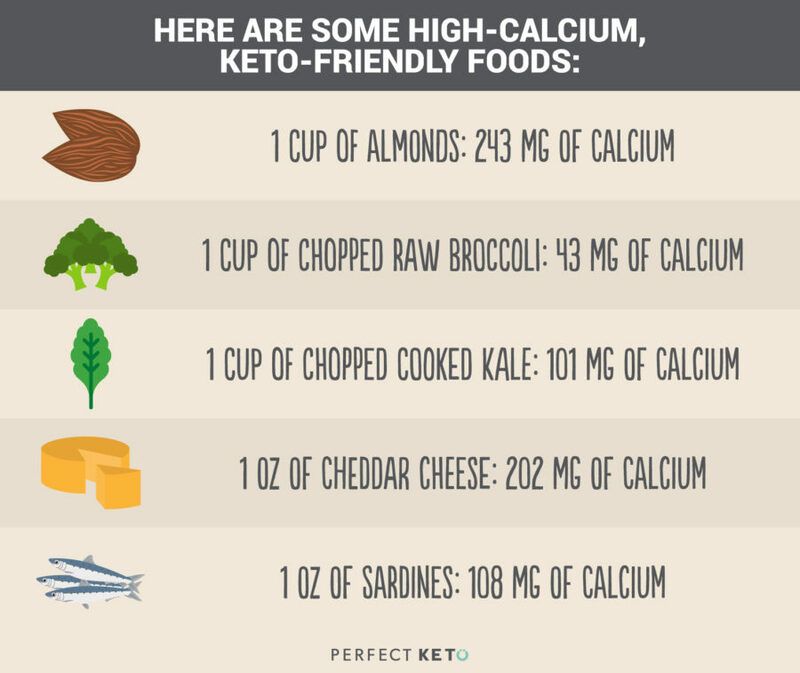 By taking note of which micronutrients are commonly lacking in the ketogenic diet, you can adjust your keto diet plan accordingly to fill in the gaps. What’s Better: Micronutrients from Food Vs Supplements? All foods contain both micronutrients and macronutrients, which provide the body with the tools it needs to function optimally. Macronutrients — Nutrients needed in large amounts by the human body, which include carbohydrates, proteins and fats.These nutrients provide energy for your body in the form of calories. Protein contains 4 calories per gram, carbohydrate contains 4 calories per gram and fat contains 9 calories per gram. Micronutrients — Nutrients needed in trace amounts by the human body for normal growth and development, including vitamins, trace elements, phytochemicals, minerals, antioxidants and fatty acids. Micronutrients help slow down the aging process, protect your body from disease and ensure that nearly every system in your body functions properly and optimally. Micronutrients don’t provide energy like macronutrients, so they can’t be measured in calories and most of them are not listed on a food’s nutrition label, which can make them a little more difficult to track. While all foods contain macronutrients — proteins, fats and carbs — not all foods contain large amounts of micronutrients. Processed foods such as candy or Oreos contain virtually zero micronutrients and are mainly composed of carbohydrates. They’ll also drastically spike blood sugar and sabotage your efforts if you’re trying to lose weight. 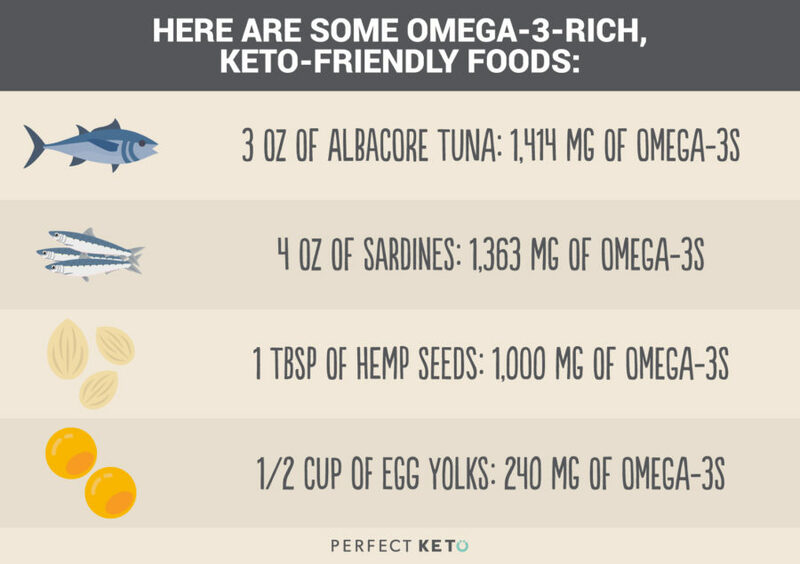 On the other end of the spectrum, foods such as grass-fed beef, organ meats, pastured eggs and leafy greens are exceptionally nutrient dense and each contain a wide variety of micronutrients such as omega-3s, vitamin A and potassium. Studies have shown that consuming a complete micronutrient profile, which is a diet including all of the essential vitamins, will improve your body’s cognitive function, improve bone density, decrease the risk of infection and disease and more[*]. Everyone — regardless of their specific diet — should consume a variety of nutrient dense whole foods and limit their intake of low-nutrient processed foods to avoid sickness, disease and weight gain. But people following a ketogenic diet should be particularly mindful. That’s not to say that a low carb, keto diet is low in micronutrients. 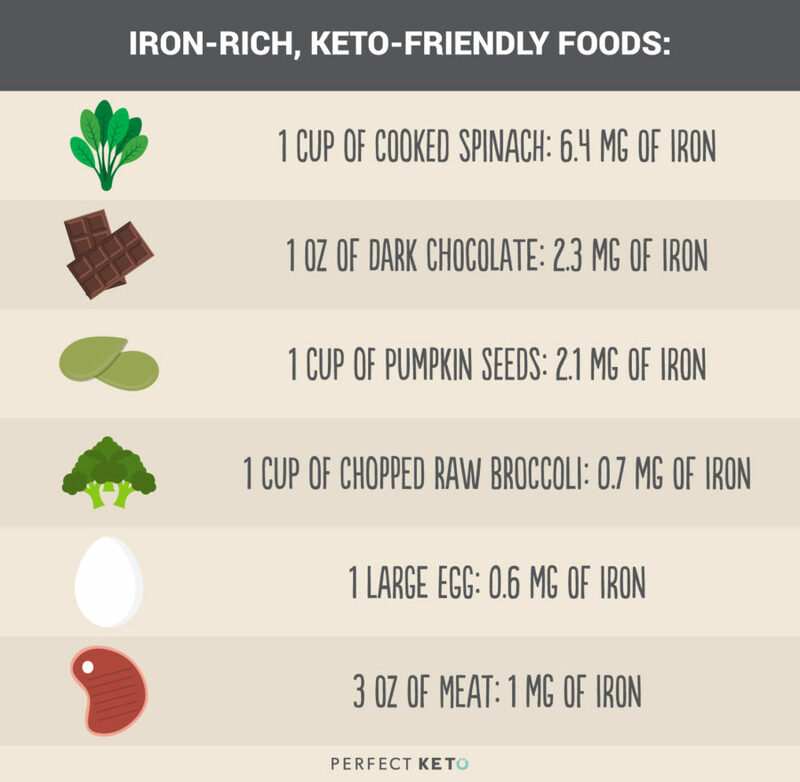 But it can be if you’re simply focusing on hitting your keto macros by loading up on butter and bacon or other foods with little to no micronutrient value. That’s why knowing how to compose nutrient-rich keto meals and not being afraid of vegetables on a keto diet is key. Beyond eating the wrong foods, your metabolism goes through a transition (or induction) phase — explained in the section below — when initially adapting a ketogenic diet. This may increase your risk for certain micronutrient deficiencies. If you aren’t carefully monitoring your micronutrients at the beginning of your ketogenic journey, you are susceptible to experiencing the keto flu. 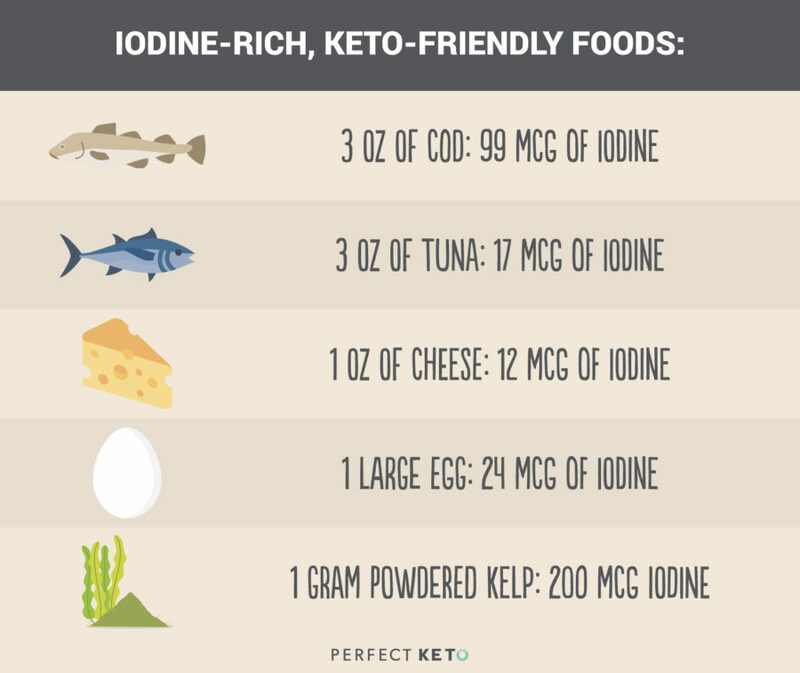 While this is common for beginner ketogenic dieters, it can be avoided if you don’t fall victim to micronutrient deficiencies. 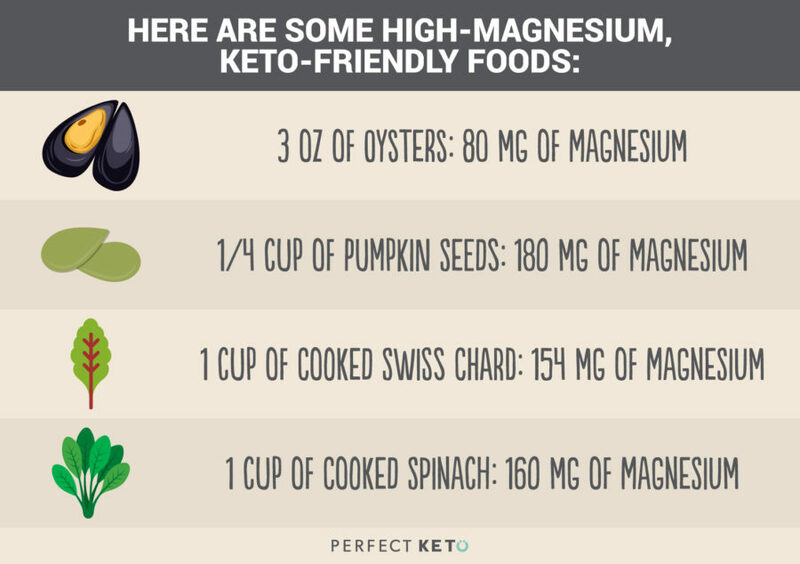 Knowing which micronutrients you’re most likely to need more of on a ketogenic diet will be key to your success. Here are the most important vitamins, minerals and other micronutrients to make sure you’re eating — plus the keto-friendly foods that contain them. But if you’re overweight or obese, your body is most likely storing too much sodium from having chronically high insulin levels. This means you don’t have to consume as much sodium if you live a sedentary lifestyle. As you lose sodium from your body, you begin to get rid of potassium, another electrolyte, simultaneously. 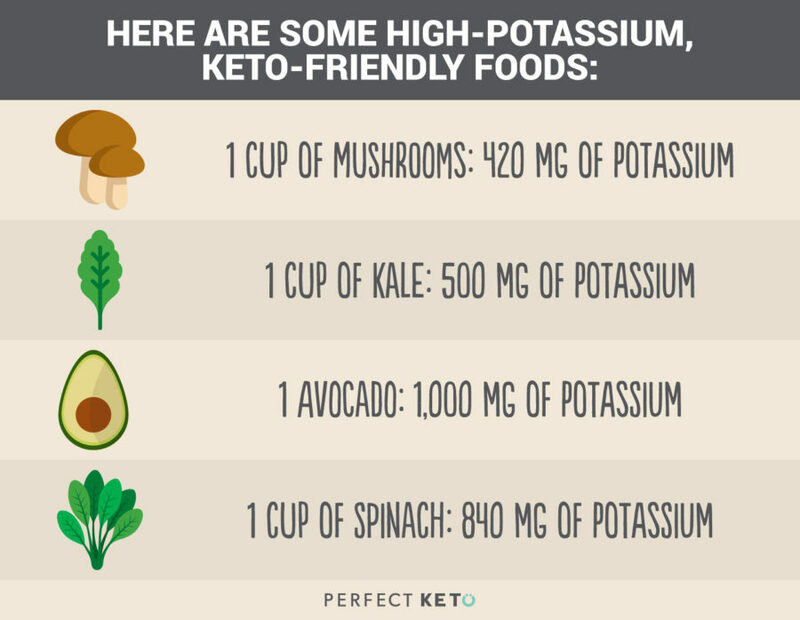 You should aim for about 4,500 mg of potassium every day on a keto diet. Zinc has over 250 enzymes needed to heal wounds, synthesize proteins, and aid in cell reproduction. In general, it’s always best to get your micronutrients through natural, whole foods rather than using supplements. This is because nutrients are most potent when they come from food. Additionally, natural food is accompanied with several nonessential but beneficial nutrients like flavonoids, carotenoids, and antioxidants that aren’t found in most supplements. While consuming natural, whole foods is the best way to ensure you have optimal amounts of micronutrients in your body, supplements can still play a role in your diet. Aside from the initial two week induction phase when your body is flushing out essential electrolyte minerals — sodium, calcium, potassium and magnesium — the ketogenic diet can provide you with you all of the micronutrients your body needs if you follow it correctly. The Avocado Craze May Be the Healthiest Thing That’s Ever HappenedThe Keto Diet and Diabetes: Can the Ketogenic Diet Help You Manage Symptoms?